All Blocks LEGO User Group’s next show at Woodlands Park School is this weekend on Sunday 7 April. Woodlands Park School is located at 202 Woodlands Park Rd, Titirangi, Waima 0604. Doors will be open to the public from 10 am and the show will run until 4 pm. Woodlands Park School has a LEGO Club and students from the school are actively building entries for a LEGO Building competition. 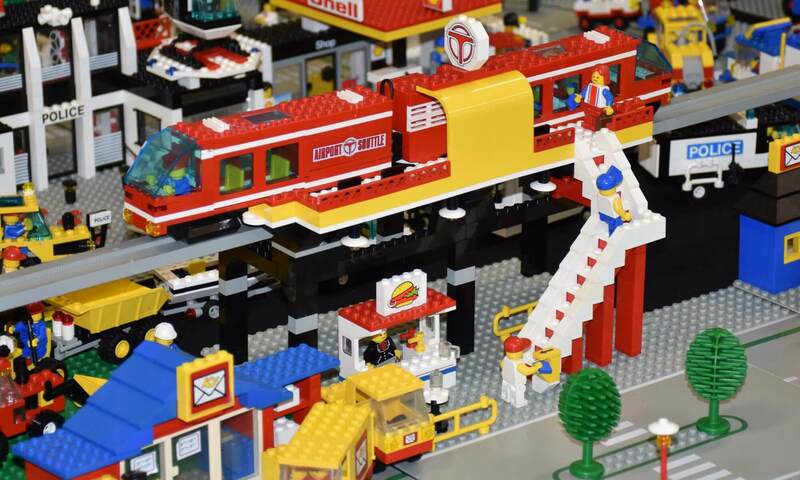 Toyworld West Auckland is sponsoring the Woodlands Park School Brick Show and has provided three $50 vouchers as prizes for the building competition. James Harrison would like to interview each of the exhibitors about their displays. These interviews will take about five to ten minutes each and we plan to start videoing them from 8:30 am Sunday, as your displays are getting finalised. James will be supported by myself and Olivier Longley. These interviews will eventually be posted on social media on Sunday. As an exhibitor, if you are uncomfortable about being interviewed please let me know. This is entirely voluntary. To make this successful, can those people who are exhibiting send me one or two quirky aspects of your display, a fun fact, or some other feature to make the participants engage in searching the Brick Show. Either send me an email or PM me through Facebook your quirky treasure hunt ideas. The Feedback Form will be printed on Saturday so the deadline is late Friday night. The Woodlands Park School hall will be open from between 2 pm and 4 pm Saturday 6 April to set the hall up. This link shows you the Street View of the hall access gate. There are two principal ways to get to the school: via Woodlands Park road from Scenic Drive or via Huia Road. I am told that the Woodlands Park road route from Scenic Drive is the preferred route. The hall will be open on Sunday 7 April from 7 am for people to set up their displays. Please note that Daylight Saving ends on Sunday 7 April at 3 am. Turn your Clocks back one hour – You get an extra hour overnight. The weather forecast for the weekend is favourable: Mainly fine – South-easterlies. I will be running the NZ Maritime School’s full mission ship simulator on Sunday 14 April. Time yet to be confirmed. I will be helping son of a friend prepare for a job interview and intend to run the simulator to develop his ship handling skills. The NZ Maritime School’s full mission ship simulator facility is the largest such facility in the Southern Hemisphere. There are seven “ships” that can run independently or be joined in one simulation. It would be easy to fit at least twenty to twenty-five people in the simulator – three to four people per ship. Let me know, via the email link above, or PM via Facebook, or tell me next Sunday, whether you would like to have a go at navigating a ship in challenging environments. There is a full range of computerised ship models that are uploaded into the ships and we have exercise areas for the principal ports and shipping routes all around the world. Due to the WordPress email plugin having an upgrade that didn’t work, I have activated a new email plugin. One result is that these emails go out to everyone who is listed as a member at All Blocks – even if you have previously Unsubscribed. If you would prefer to Unsubscribe, please let me know and I will remove you from the email list.